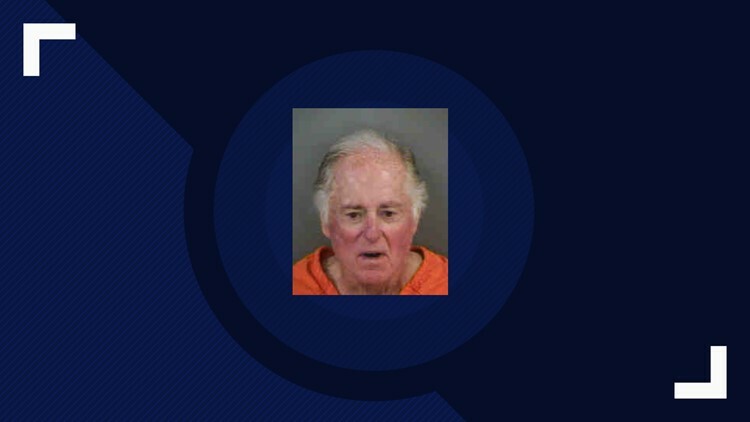 NAPLES, Fla. — Former WUSA9 sportscaster at Warner Wolf has been arrested in Florida for damaging a sign. Wolf, now 81, was apparently caught on video damaging a sign in front of the resort Classics Plantation. A man removed the lettered of the word "Plantation" at the resort's front gate. Wolf is a resident of the Classics Plantation. The Collier Sheriff's Department says Wolf "has been a vocal critic of the name Plantation at board meetings and warned the word removed from the sign." The incident happened on November 30, 2018. A witness at the time said he saw Wolf in the water "doing something to the sign," but whether he was the one damaging the sign was not certain. The arrest report said surveillance video shows a man believed to be Wolf "removing the letters from the sign with a tool." The witness personally identified Wolf as the man in the video. Then, on December 12, 2018, a man drove up to the gate at the Classics Plantation and passed the broken Plantation letters to the security guard with instructions to give them to the property manager. The man was identified as Warner Wolf. The damage estimate was $1,139.50. Warner Wolf turned himself in on February 7, 2019, and he was arrested for criminal mischief over $1,000. Warner Wolf was born in Washington, D.C. In 1961 he began his career in radio in Kentucky. His big break came in 1976 when he was hired by ABC Sports. In 1992 Wolf returned to Washington as the sports anchor at WUSA9. His signature phrase was a very energetic, "Let's go to the videotape!" Wolf succeeded Glenn Brenner who died earlier that year. Wolf was let go from WUSA in 1995.